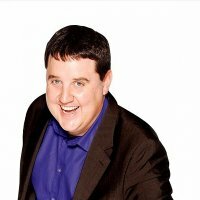 Extra tickets released for Peter Kay's 2010/ 2011 UK Tour! OK, this is a case of answering the two questions: "Do I want to see Peter Kay? ", "Did I miss out with tickets first time around?". If the answer to those questions is Yes and No, then you'd better click below for availability, as a number of extra tickets have been released for all of his UK "tour" dates (not Manchester!). The original batch sold-out on the day the were announced. The tickets cost £35 + booking fee. Hurry, as they'll soon be gone... again! The Dublin dates went on sale last week - four dates at the O2, which with the exception of 28th April have now all sold out. Tickets for 28th are still available, costing €44.20. Now, there are only tickets at face value remaining for the SECC in Glasgow and Liverpool's Echo Arena. Update: 17th Dec - Extra Manchester and Dublin Dates! As expected, Peter Kay has now added a fifth date for Dublin at the O2 - for 2nd May 2011. Tickets go on sale on Friday 18th Dec at 9AM, priced €44.20. But, not expected at all was for Peter to add a Manchester finale to his tour, as he is now playing five extra dates in September and October 2011 at the Manchester Evening News Arena, which is where it all starts next year. Tickets for the five new dates go on sale at 10AM on Saturday 19th December.